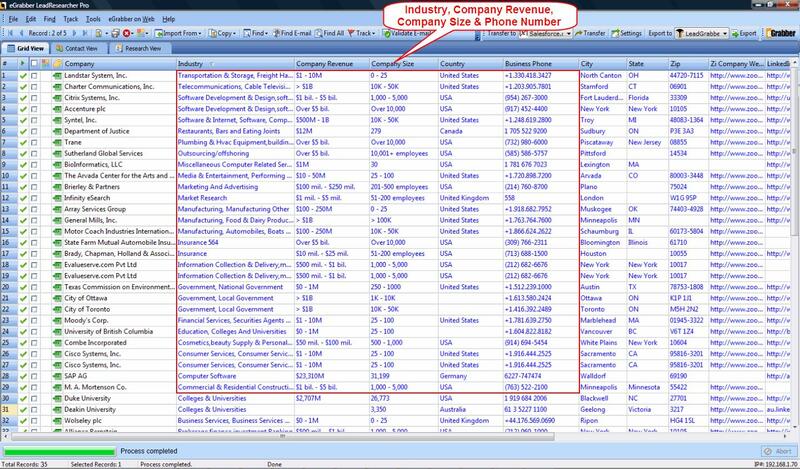 A complete and up-to-date prospect / customer database is always a great asset and a goldmine for any business. It definitely helps you to grow your business without having to rely on new leads. However, a recent study suggests that a staggering 84% of the marketing databases are barely functional. The study also suggests that 88% of the data did not have the basic information such as industry, company revenue & number of employees, and 64% of the records did not have the phone numbers. The results clearly indicate that an incomplete B2B marketing database can severely impair your lead segmentation efforts, cause email deliverability issues and prevent you from reaching your prospects over phone. It adversely affects all your B2B marketing campaigns and you end up losing your precious time and money. This is where a B2B lead research software such as LeadResearcher Pro can be handy. LeadResearcher helps you to update your B2B marketing database in no time by appending missing prospect / customer information in your CRM. 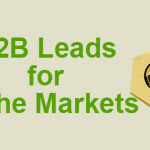 All you need to do is just import the list into LeadResearcher and append the missing B2B marketing data that is vital for effective lead segmentation and append up-to-date business email IDs & business phone numbers of your prospects. LeadResearcher helps you save a lot of time, spend more time with your prospects, improve sales conversions and increase your revenues. Download the fully functional trial version of LeadResearcher and try it yourself.